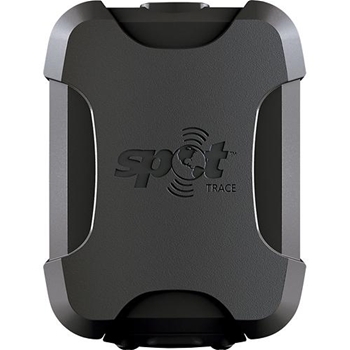 Spot Trace GPS Tracking Device | The GPS Store, Inc.
Track anything, anywhere at any time! With Spot Trace you can do just that. Based 100% off Satellite technology the SPOT Trace will track your valuables worldwide and keep you aware when they are on the move. Once activated, (Service plan required and Sold Separately) the SPOT Trace acquires GPS coordinates and sends the Trace's location to communication satellites which relay the message to your phone or computer for tracking via Google Maps. Customization allows you to receive tracking updates as often as every 2 1/2 minutes so you will always know where your valuables are. The unit is not easily tampered with- as a message is sent out when the power has been turned off. Always discreet- the SPOT Trace does not display a light during use so it is easily concealed. The tracking feature allows for a virtual breadcrumb trail with as little at 2.5-minute intervals for maximum security. An internal vibration sensor allows the unit to enter Suspended Track Mode when at rest. Spot has thought of it all! When tracking vessels on the water where vibration may not reflect actual movement- the Dock Mode will ensure accuracy. This mode compares GPS position with vibration to ensure the vessel is moving location and not simply rocking back and forth. Peace of mind is at the forefront of the SPOT Trace Device. Receive a daily alert so you know that your boat or vehicle is safe and sound. Low battery notifications and power off notices allow you to have a full understanding of your device and property whereabouts at all times. Easy to operate, and a long battery life along with multiple mounting options, the Trace is designed to track any valuable big or small. Plus, the ability to connect to an external power source makes certain you can track uninterrupted. Battery life with 4 AAA batteries varies greatly depending on the selected tracking mode intervals and level of obstruction in regards to the devices position. Click Here for Service Plan Information. For more detailed information on the SPOT Trace and it's features click here. Each SPOT Trace comes with:SPOT Trace device,(4) AAA Energizer® Ultimate Lithium 8x batteries, Power cable with USB connection, Reversible mounting bracket, Industrial strength double-sided tape, Adhesive Grip Pad, Adhesive hook and loop tape and a One-Year Warranty. SPOT DC Power cable for Trace, wire your Trace to a batter to keep it powered all the time.